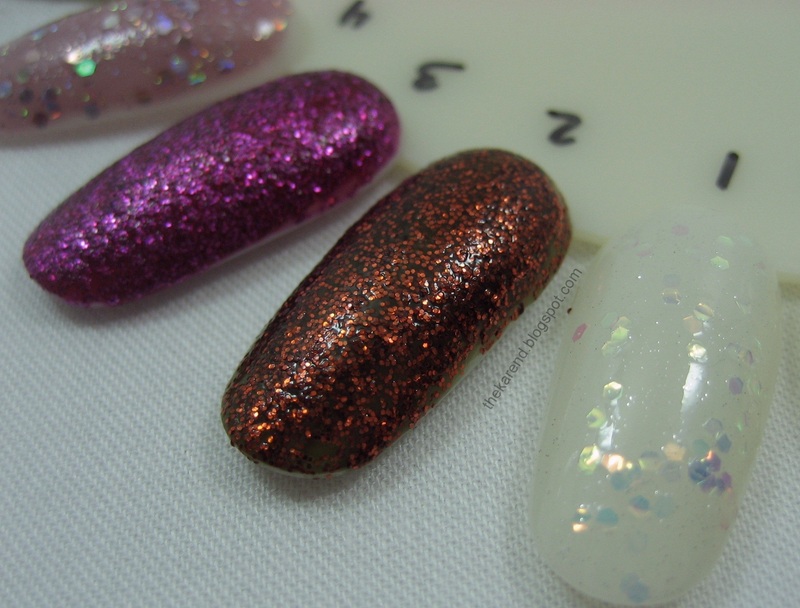 Today for Nail Wheel Wednesday, I have glitter, including ones from Hard Candy before the most recent relaunch (but none from the original release). I have many glitter wheels yet to post (and yet to paint as well); I might have to consider doing some Nail Wheel Weekends to reduce the backlog. Maybe that can be one of my 2014 projects. 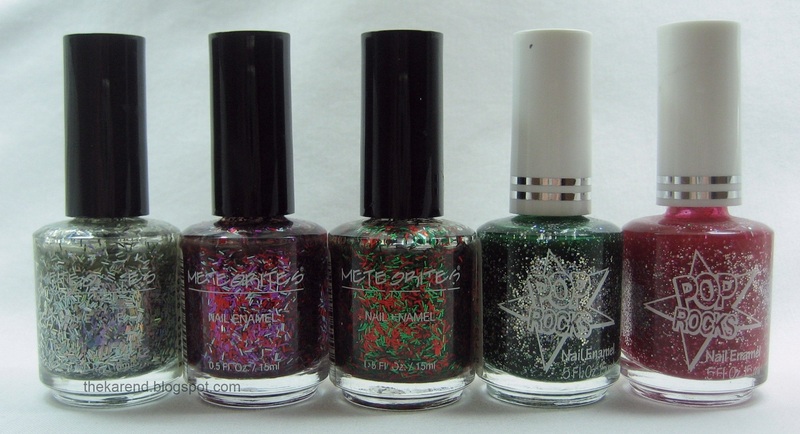 Those Pop Rocks polishes are really cute!! Fabuluxe looks a bit like old Hard Candy Scam, although it may be more purple than Scam. I only have a mini of Scam and I always regretted that they seemed to have discontinued it. I'm not into the hairy glitters but there are several others on that wheel that are really cute. 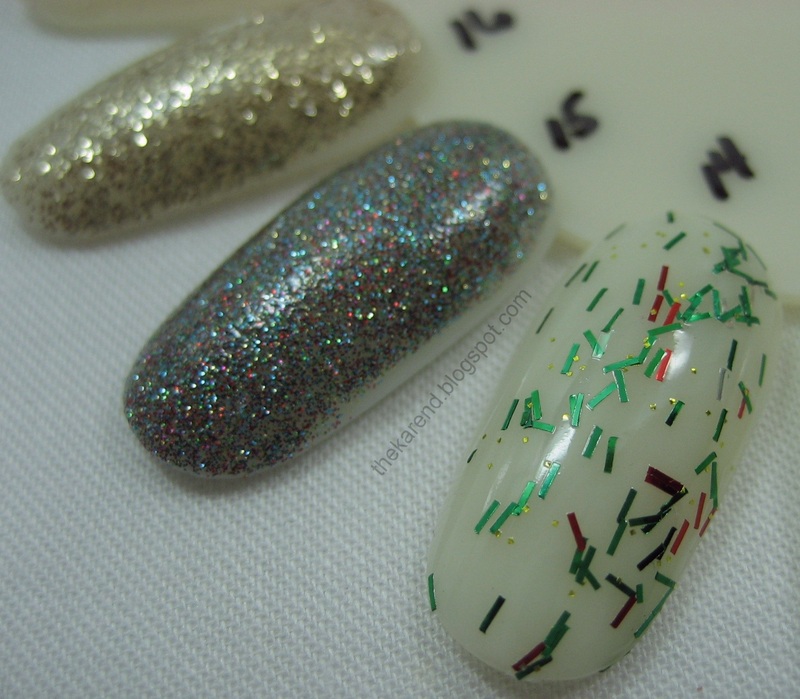 Winter is when I get in the mood for glitters, anyway! Mel, I never picked up any of the HC minis, not sure why. 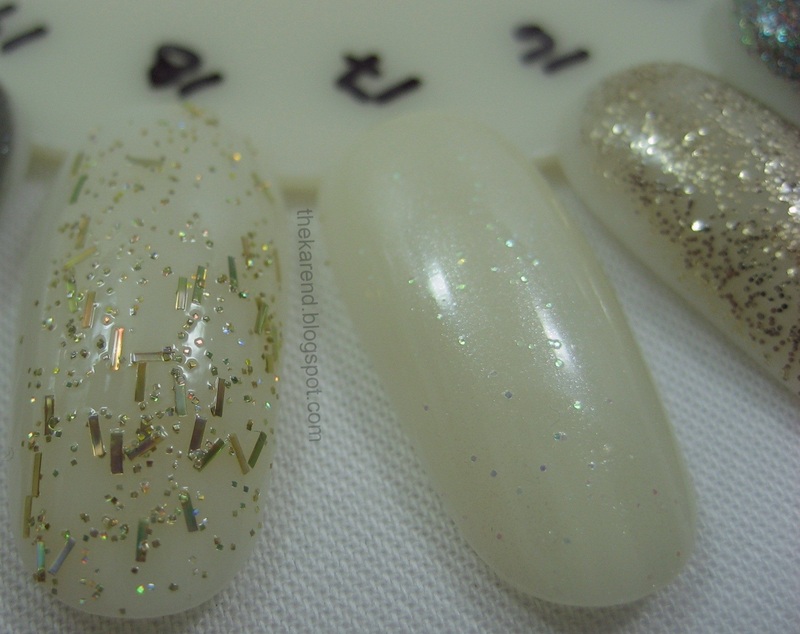 Never thought of glitter as seasonal, though I guess we do see more of it in holiday collections than other times of year. 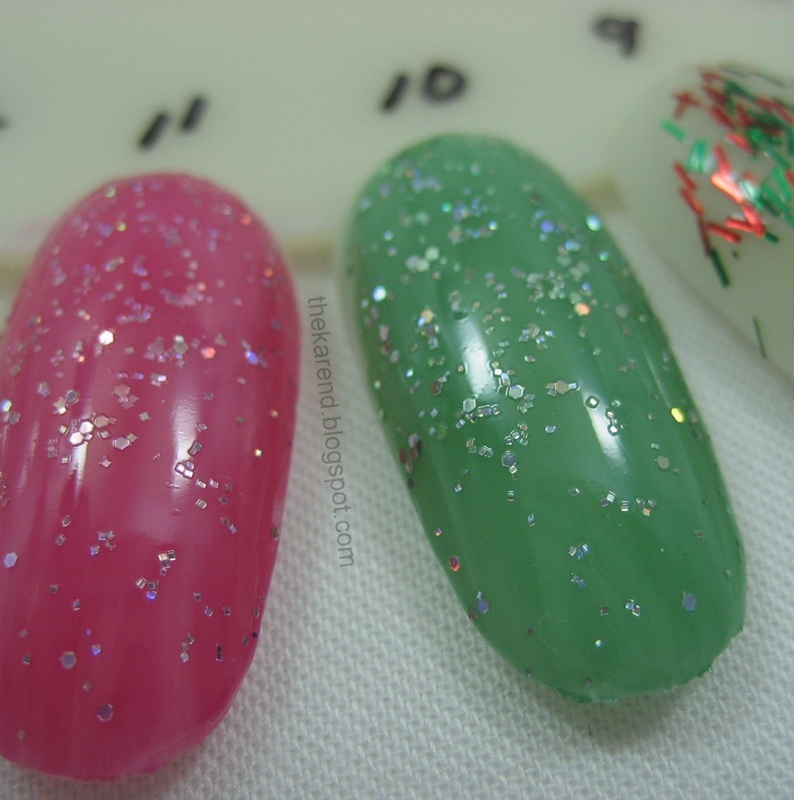 Are we going to see some of that red and green bar glitter over the holidays? Really nice to see some of these different brands and bottles rather than the usual/typical ones. mrsrexy, I'd like to say yes, but I recently bought a different red and green glitter that's calling to me, so I'll probably use that one first and knowing my tendency to get distracted, I won't get back to the red and green bars here. But it could happen!